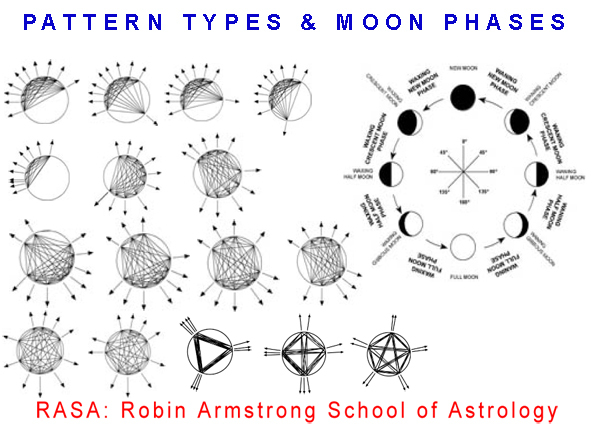 This class presents the pattern types and the moon phases. It is taught first because this information can be found out for most people even without an accurate time of birth. They represent a good starting point for understanding astrology and for being able to relate the subsequent insights to the people whose charts you do.